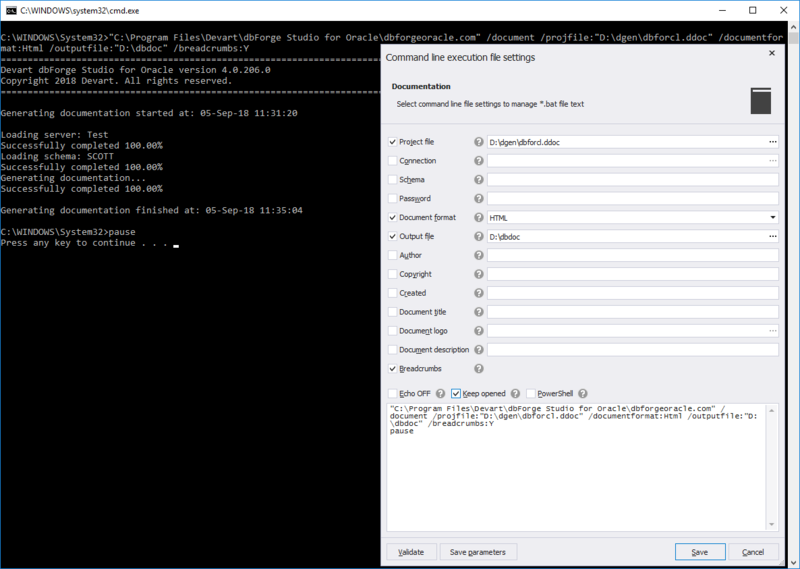 The Documenter feature of dbForge Studio for Oracle for automatic generation of Oracle database documentation in the HTML, PDF, and Markdown file formats. 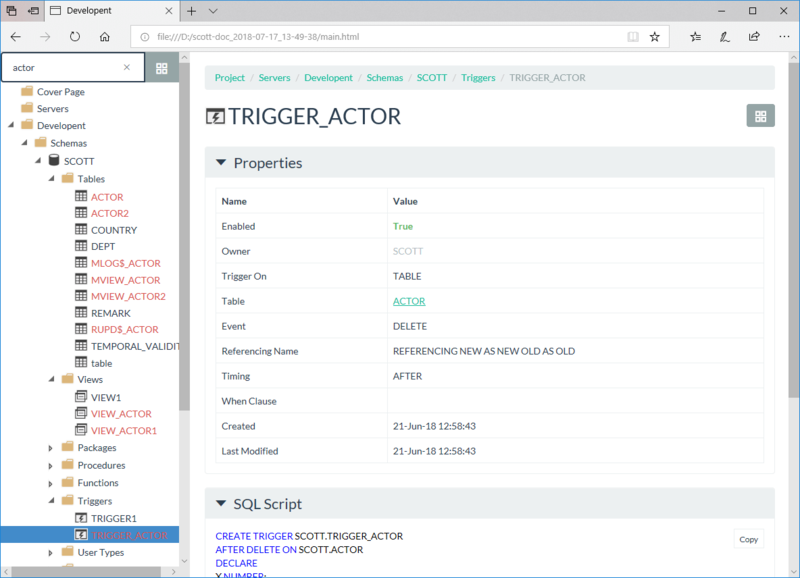 It will take you just a couple of minutes and a few clicks to document multiple Oracle schemas with all their objects and properties. Documenter also includes a wide range of options to customize the generated documentation file to meet your specific requirements. 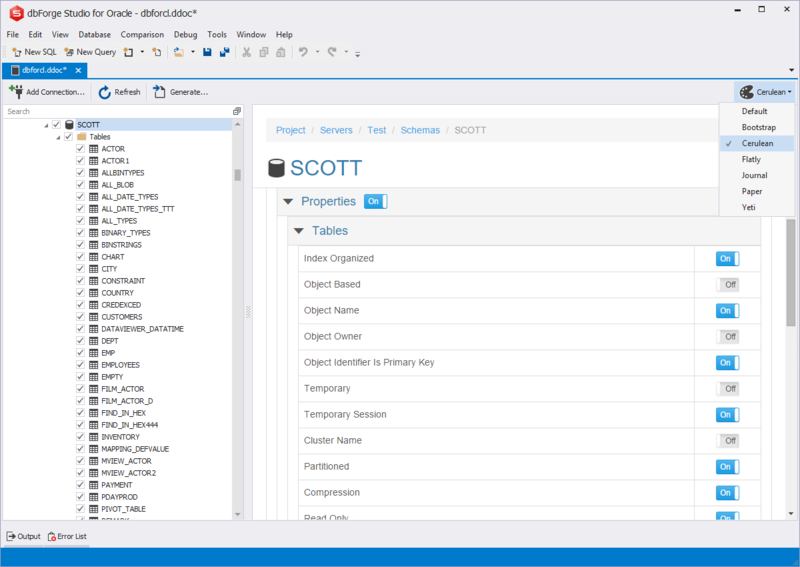 Documenter extracts an extensive schema information, including Oracle schema object types, their details, and properties, as well as inter-object dependencies and DDL codes. 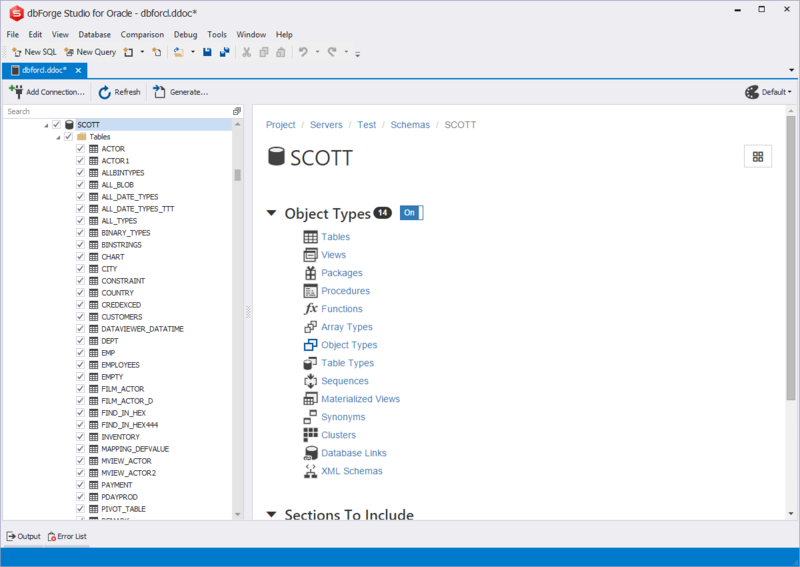 The tool allows selecting individual Oracle objects and their properties for documenting. 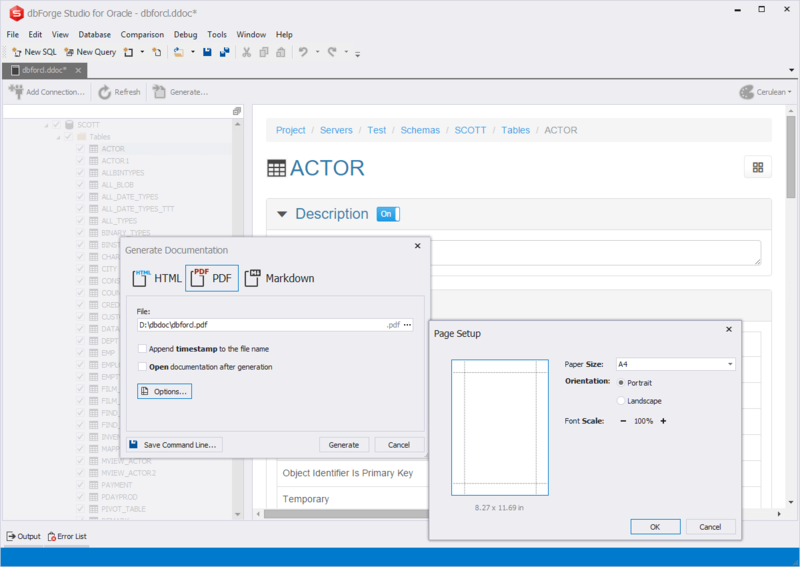 dbForge Studio for Oracle also includes a wide collection of style templates and allows changing the documentation layout with various Bootstrap themes. You can generate documentation in three file formats: HTML, PDF and Markdown. HTML and Markdown suit for databases to be published on the web, PDF is good for distributing to various systems and devices. All formats are searchable, which is very convenient especially for large databases. Search across the generated documentation files for Oracle database objects. As you type the name of a required object in the search field, Documenter highlights the matching text in the object tree. You can also navigate throughout the documentation via build-in hyperlinks. With the command-line functionality, you can save time by scheduling routine Oracle documenting tasks. The tool also allows creating a command-line execution file to run routine documenting tasks in a single click.